Seeing the sights doesn’t always have to be a lightning visit. Here are some of the best ports of call for overnight stays for the solo traveller. Popping into a new city for a whistle-stop tour and some lunch feels so glamorous – and it’s a great way to discover places you may want to revisit later – and for longer. But why wait? Sometimes you can stay on during your cruise. Here are my very favourite cruise destinations for overnight stays; they are available on many itineraries. Russia’s capital is a must-see on any intrepid traveller’s list, and most certainly for those of us who love to cruise. Lots of cruise lines stop here for two full days so you can make the most of the city’s jewels (and even see jewels – literally – when you visit the Hermitage Museum). When you have an evening in port here and you’re travelling with Azamara Club Cruises, don’t miss its Azamazing evening , when you can watch a symphony orchestra performance. Or you could book excursions independently to see, for example, a ballet performance of the Nutcracker or Swan Lake. I’ve used cruiseexcursions.com myself before, and I can recommend it. I was picked up and dropped off at the port, so I felt safe and well looked after. I love Venice; I cannot get enough of the place. One of my favourite things to do is book a ticket on the vaporetto (the super-cheap water taxi that goes pretty much everywhere), and ride it for hours on end, going up and down the canals people watching. When you’re overnight here there are no worries about getting back to the ship early. I highly recommend sauntering over the bridges and having dinner by the Grand Canal. It’s beautiful at dusk when the sun is about to set and the lights come on… and so romantic! And yes, it can even be romantic when you’re alone. Try it. Not only is it gorgeous but you don’t have to share your Tiramisu with anyone! There’s more to Amsterdam than the famous (or infamous) night-time scene, (although it is fascinating). One of my most enjoyable evenings on an APT cruise years ago was in Amsterdam. The excursion manager caught wind of the fact that a few people wanted to witness the evening’s ‘entertainment’, so took a group of us ashore to explore the sights. Azamara cruise lines also wows you here, with another Azamazing Evening where you can take a guided group excursion to enjoy a twilight canal cruise. 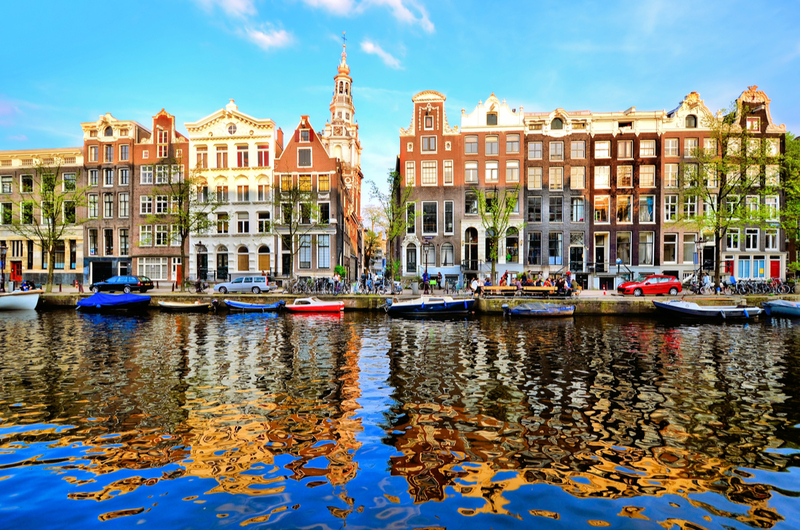 Also – don’t forget – two days here means you can make time to queue for the Museum of Anne Frank. It’s an unforgettable place – and worth the wait. 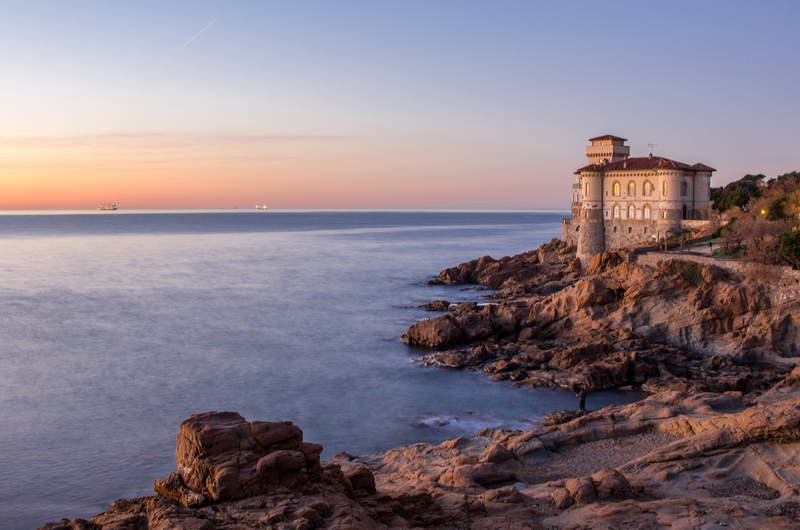 What’s not to love about an overnight stay in Livorno? It’s within easy reach of Florence and Pisa, so if you stop overnight you can have a decent amount of time in both, and even visit pretty Lucca at the same time. Florence is one city I felt really safe in when I travelled on my own. If you’re overnight in Livorno on your next cruise, why not book a hotel in the centre of Florence, so you can stay out later and enjoy a few glasses of prosecco and a bowl of pasta at sunset? Or even go to a cheese and wine tasting evening (they’re fun!) You’ll be able to enjoy the second day right in the heart of the city, and have plenty of time to get back for sailaway.